* High blood pressure is now defined as readings of 130 mm Hg and higher for the systolic blood pressure measurement, or readings of 80 and higher for the diastolic measurement. That is a change from the old definition of 140/90 and higher, reflecting complications that can occur at those lower numbers. * Among African Americans, 56 percent of women and 59 percent of men will have high blood pressure under the new guidelines. The change means African American men have the highest rate of hypertension; previously, Black women did. * In the first update to comprehensive U.S. guidelines on blood pressure detection and treatment since 2003, the category of prehypertension is eliminated. * While about 14 percent more people will be diagnosed with high blood pressure and counseled about lifestyle changes, there will only be a small increase in those who will be prescribed medication. * By lowering the definition of high blood pressure, the guidelines recommend earlier intervention to prevent further increases in blood pressure and the complications of hypertension. DALLAS, TEX. — High blood pressure should be treated earlier with lifestyle changes and in some patients with medication at 130/80 mm Hg rather than 140/90 according to the first comprehensive new high blood pressure guidelines in more than a decade. The guide-lines are being published by the American Heart Association (AHA) and the American College of Cardiology (ACC) for detection, prevention, management and treatment of high blood pressure. The guidelines were presented this week at the Association’s 2017 Scientific Sessions conference in Anaheim, Calif., the premier global cardiovascular science meeting for the exchange of the latest advances in cardiovascular science for researchers and clinicians. Rather than 1 in 3 U.S. adults having high blood pressure (32 percent) with the previous definition, the new guidelines will result in nearly half of the U.S. adult population (46 percent) having high blood pressure, or hypertension. However, there will only be a small increase in the number of U.S. adults who will require antihypertensive medication, authors said. Additionally, more African Americans, a population that faces a higher risk for high blood pressure than other demographics, will have high blood pressure under the new guidelines. Fifty-six percent of women will be affected compared to 59 percent of men, which reflects an increase from 42 percent for women and 46 percent for men. This now means African American men have the highest rate of hypertension while, previously, Black women did. These guidelines, the first update to offer comprehensive guidance to doctors on managing adults with high blood pressure since 2003, are designed to help people address the potentially deadly condition much earlier. High blood pressure accounts for the second largest number of preventable heart disease and stroke deaths, following smoking. It’s known as the silent killer because many times there are no obvious symptoms, and it significantly increases the risk for heart disease and stroke. You’ve already doubled your risk of cardiovascular complications compared to those with a normal level of blood pressure, he said. We want to be straight with people if you already have a doubling of risk, you need to know about it. It doesn’t mean you need medication, but it’s a yellow light that you need to be lowering your blood pressure, mainly with non-drug approaches. * Hypertensive crisis: Top number over 180 and/or bottom number over 120, with patients needing prompt changes in medication if there are no other indications of problems, or immediate hospitalization if there are signs of organ damage. The impact of the new guidelines is expected to be greatest among younger people. The prevalence of high blood pressure is expected to triple among men under age 45, and double among women under 45 according to the report. 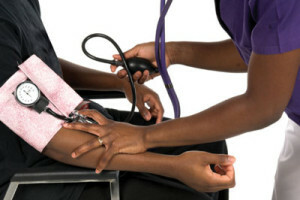 For African-Americans, high blood pressure develops earlier in life and is usually more severe. Damage to blood vessels begins soon after blood pressure is elevated, said Whelton, who is the Show Chwan professor of global public health at Tulane University School of Public Health and Tropical Medicine and School of Medicine in New Orleans. If you’re only going to focus on events that ignores the process when it’s beginning; risk is already going up as you get into your 40s. The guidelines stress the importance of home blood pressure monitoring using validated devices and appropriate training of healthcare providers to reveal white-coat hypertension, which occurs when pressure is elevated in a medical setting but not in everyday life. Home readings can also identify masked hypertension, when pressure is normal in a medical setting but elevated at home, thus necessitating treatment with lifestyle and possibly medications. People with white-coat hypertension do not seem to have the same elevation in risk as someone with true sustained high blood pressure, Whelton said. Masked hypertension is more sinister and very important to recognize because these people seem to have a similar risk as those with sustained high blood pressure. * Only prescribing medication for Stage I hypertension if a patient has already had a cardiovascular event such as a heart attack or stroke, or is at high risk of heart attack or stroke based on age, the presence of diabetes mellitus, chronic kidney disease or calculation of atherosclerotic risk (using the same risk calculator used in evaluating high cholesterol). * Recognizing that many people will need two or more types of medications to control their blood pressure, and that people may take their pills more consistently if multiple medications are combined into a single pill. * Socioeconomic status and psychosocial stress are now recognized as risk factors for high blood pressure. In some urban communities, socioeconomic status can affect access to basic living necessities, medication, healthcare providers and the ability to adopt lifestyle changes. Co-authors are Robert M. Carey, M.D., vice chair of the writing committee; Wilbert S. Aranow, M.D. ; Donald E. Casey, Jr., M.D., M.P.H., M.B.A.; Karen J. Collins, M.B.A.; Cheryl Dennison Himmelfarb, R.N., A.N.P., Ph.D.; Sondra M. DePalma, M.H.S., P.A.-C, C.L.S. ; Samuel Gidding, M.D. ; Kenneth A. Jamerson, M.D. ; Daniel W. Jones, M.D. ; Eric J. MacLaughlin, Pharm.D. ; Paul Muntner, Ph.D.; Bruce Ovbiagele, M.D., M.Sc., M.A.S. ; Sidney C. Smith, Jr., M.D. ; Crystal C. Spencer, J.D. ; Randall S. Stafford, M.D., Ph.D.; Sandra J. Taler, M.D. ; Randal J. Thomas, M.D., M.S. ; Kim A. Williams, Sr., M.D. ; Jeff D Williamson, M.D., M.H.S. and Jackson T. Wright, Jr., M.D., Ph.D., on behalf of the American College of Cardiology/American Heart Association Task Force on Clinical Practice Guidelines. Author disclosures and our collaborating organization partners are listed online and in the appendix to the manuscript. * Find high blood pressure management resources at www.heart.org/hbp.